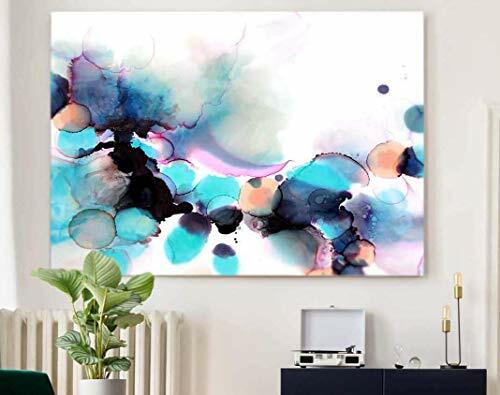 Fine art print of my original painting in vivid hues of mint green, violet and hot pink. My fine art prints are hand cut and created in house using heavyweight, textured archival paper and 100% cotton canvas. We only use Lucia pigment inks, resulting in lush graphics that will last a lifetime. Direct from my studio in Suffolk, England, signed & dated. ROLLED canvas: shipped in a sturdy art tube and can be framed or stretched at any framing shop. STRETCHED canvas: will arrive stretched on a gallery box frame, ready to hang on your wall. FINE ART PAPER: shipped in a sturdy art tube and can be mounted and framed at any framing shop.